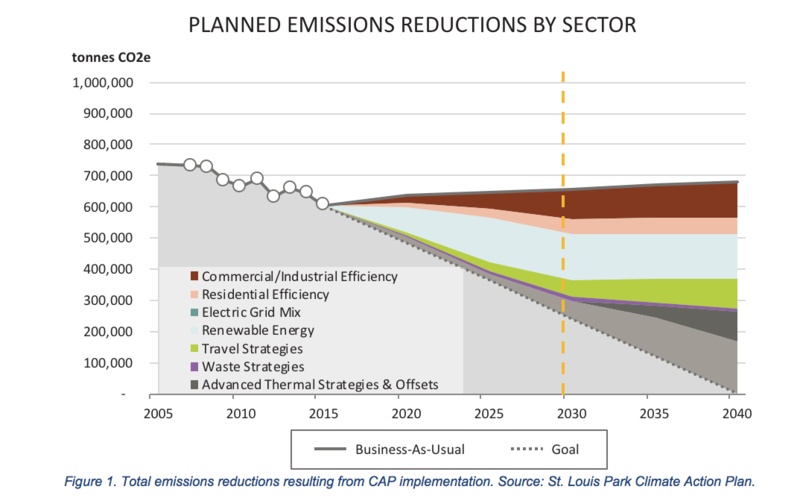 With the adoption of its climate action plan (CAP) in early February, the City of St. Louis Park, Minnesota became a leading example of a community moving from setting ambitious energy and carbon emission goals to laying out a roadmap for implementation. 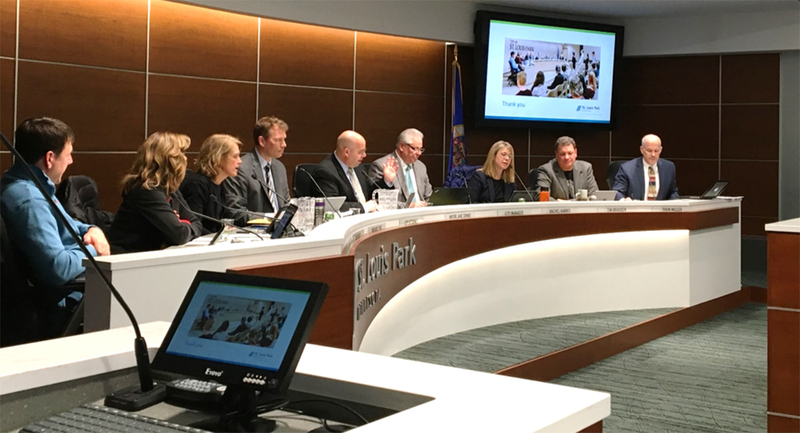 In 2015, a small group of students from St. Louis Park High School decided to take an active role in shaping their future and partnered with iMatter, a youth climate group, to give feedback to the City Council on their environmental performance via a report card. Based on this feedback, the City Council passed a resolution that committed the city to creating a CAP that would reduce greenhouse gas emissions to levels that would protect the future for generations to come. To achieve the goals and commitments established by both the energy action plan and the Council’s resolution, the City worked to produce a CAP that would provide a roadmap for implementation. Great Plains Institute partnered with LHB, INC., and Orange Environmental to develop a CAP for the City of St. Louis Park. This project proved to be immediately beneficial beyond the boundaries of the community. GPI and LHB had been in the process of developing tools for Local Government Project for Energy Planning (LoGoPEP) and the CAP granted an opportunity to test and improve the utility and accuracy of those tools, especially the wedge diagram tool. The wedge diagram tool was key to calculating and visualizing St. Louis Park’s path to carbon neutrality. The tool was refined and tailored to St. Louis Park’s specific community-wide emissions and planned emissions scenario; it is now available to support Minnesota communities in goal development and identifying which strategies can be deployed to achieve those goals and their impact. These midterm targets result in a 54 percent decrease in community-wide GHG emissions by 2030, and 62 percent by 2040. To achieve the remaining 38 percent of emissions, the city must implement advanced strategies, which include combined heat power, district heating, fuel switching, among other technologies. City operations are required to achieve the same goals internally, leading the community in the effort. The impact of each of these goals is shown in Figure 1. Just as students were critical to the development of the CAP, they are also necessary to the success of implementation. The CAP begins with three kick-start projects designed to accelerate the plan upon adoption. The first project is a youth-led initiative to increase energy efficiency and renewable energy in the community. Students are charged with driving on-the-ground action to help residents and businesses achieve the goals of the CAP. Throughout the plan, the power of the youth is harnessed to reinforce outreach efforts and drive clean energy action at scale. To no one’s surprise, they have already gotten started and have only just begun. There is great opportunity and growing desire among local governments to pursue energy and carbon reduction goals in their communities. All local governments within the Metropolitan Council region are currently updating their comprehensive plan and many are choosing to incorporate energy and carbon reduction strategies. 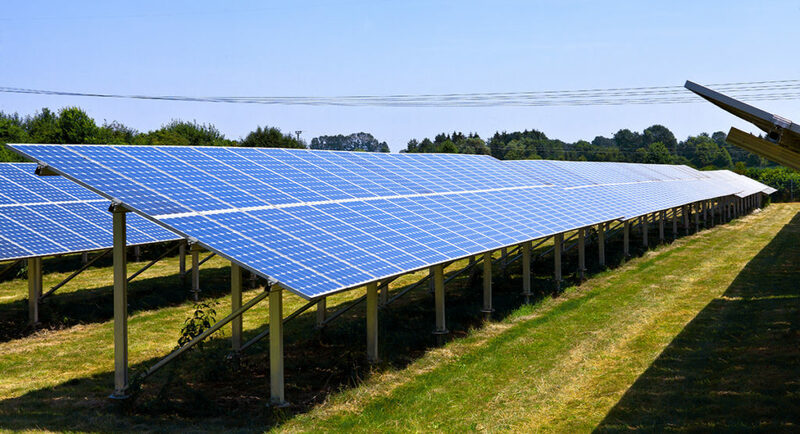 The St. Louis Park City Council has set new standards for addressing solar in plans and has made it easier to do so by providing each community with a solar map and resource calculation to help set those goals. GPI is assisting nearly two dozen communities with integrating energy into their comprehensive plans. We provide existing energy conditions reports and technical assistance for the development of goals. We have also created a solar calculator to help communities understand how their solar resource compares to electricity consumption, so they can set realistic in-boundary solar goals. The momentum toward a low-carbon economy is building at the local level across the country, and right here in Minnesota. 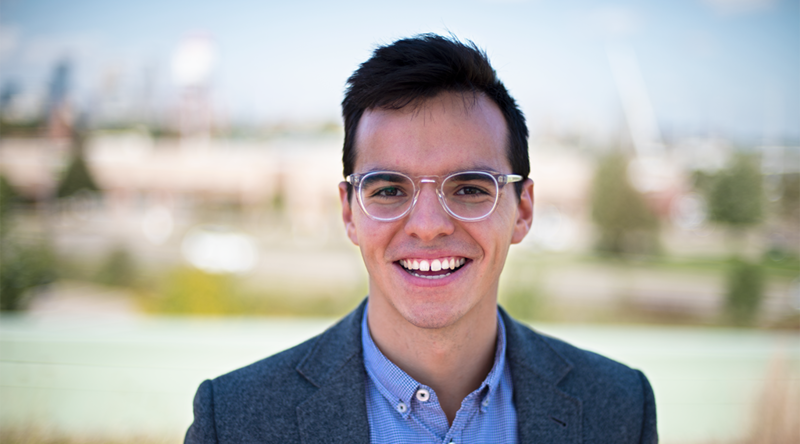 St. Louis Park is at the front edge of this shift and has emerged as a leader, serving as a model to other communities looking to be move from goals to implementation. Achieving carbon neutrality is no small feat, and success requires communities to work in partnership with residents, businesses, and organizations. This plan shows that moving toward low-carbon living is seen as a viable transition for the city’s nearly 50,000 residents. With dedicated city leaders and staff, and the motivation of the youth, the city is well-positioned to accomplish its bold goals. 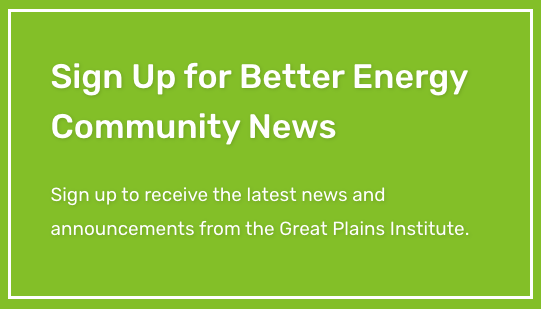 Contact Abby Finis at afinis@gpisd.net to find out more about how your community can reach its energy planning, sustainability, and climate action goals.